Established at 2011, RADDION is providing advanced RF design solutions for leading global hi-tech companies. Our main goal is to provide the best RF designs for companies that require Custom RF solutions. We specialize in microwave high frequency designs for the Telecomm and Military markets as well as for the Biomedical field. Our vast knowledge in solid state power amplifiers design from UHF to Ka-band enables us to provide solutions for any type of R&D demand. 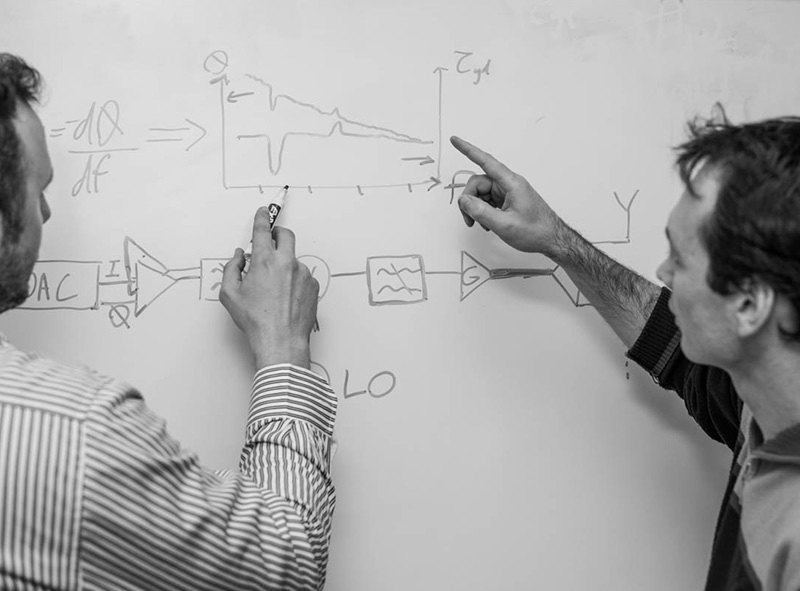 Leveraging our versatile capabilities into the biomedical field, we offer a unique RF approach to implement low/high frequency RF techniques for wireless energy transfer, communication with implants, and neuro-stimulation. RADDION is located in Tel Aviv, Israel. Within our premises you can find a complete R&D infrastructure, Labs with advanced RF Test equipment (up to 30GHz.) that supports a wide range of ongoing projects. Our team consists of dedicated RF engineers with vast “hands-on” engineering knowledge of RF related products and technologies. Over the years Mr.Gilat served as a leading RF engineer and as a consultant for a variety of Telecom companies. He has many years of experience in RF design of Telecom hardware and proven capabilities in delivering Turn Key products from early inception stage to high yield mass production. Among his expertise are high power RF design and amplifier linearization technologies. Ofir holds a degree of B.sc in Electrical Engineering, from Tel Aviv University. INTERLLIGENT specializes in RF & microwave technology and provides in-depth support and services to the RF industry. Commtact Ltd. specializes in developing and manufacturing state-of-the art Data-links and communication systems for defence, homeland security, and civil applications. Enopace is developing an innovative device to treat heart failure patients. Enopace’s technology consists of a minimally invasive, wirelessly activated implantable neurostimulation device.